The EVCS kindergarten program is uniquely better, parents continue to benefit from the historical results of our past. Our students are happy, safe, learn as they grow to do well in their lives, and the value gained far exceeds the investment. Curriculum at our private elementary school covers the following subjects: Phonics, Math, Science and History. 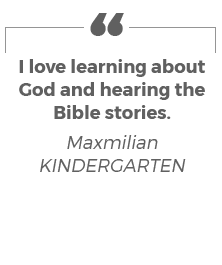 Bible topics are integrated into the curriculum to demonstrate how all subjects help us understand the world, and the work God has given us in it. Students practice daily prayer and pledges as a way to acknowledge the Creator. 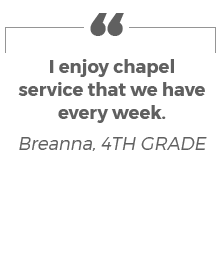 Weekly chapel services are also held, giving students an opportunity to worship and learn in fellowship with their peers. Our private elementary school believes in integrating spiritual development with personal and academic development, which creates a more holistic way for children to grow. It’s important that our EVCS students maintain a healthy balance of work in the classroom and play. Our students are given two breaks (in the morning and afternoon), head rest, and afternoon free time as well as lunch outside, weather permitting. Once a week for 30 minutes, our students are engaged in Music appreciation, Art appreciation, Computer and Spanish classes. 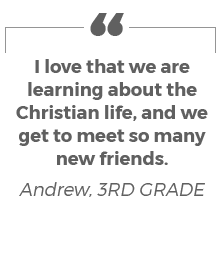 This is a great opportunity for them to broaden their learning, and begin to develop their God-given talents. We believe that kids deserve to eat well, which is why we’ve partnered with Choicelunch as an option for fresh and nutritious lunches. Online ordering is convenient for busy families. Throughout the year our students are given various opportunities to get involved with our community. From “Crazy Hair” days to dressing up days, our Spirit Days are a fun way to promote school spirit. Additionally, our private elementary school takes time to explore our community on field trips. The EVCS Kindergarten Program offers parents who are future oriented, hardworking, and who rely on spirituality and faith to provide inspiration a genuine fit that complements their family’s aspirations. For over 30 years, we have consistently created a friendly community environment where children are safe, happy, and encouraged to pursue intellectual, spiritual, social, and physical excellence. Plus, our After-School Program (ASP) offers before and after school care that you can rely on until you can pick-up your child. 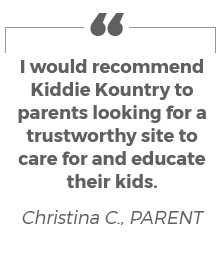 The EVCS Kindergarten Program offers parents a high-quality affordable option. We realize that a tight budget can severely limit a parents’ ability to finance a private school education for their children. For this reason, EVCS levels the playing field by opening the door to a quality private school education by not asking parents to make an extravagant investment. Each EVCS teacher makes an individual effort to support student happiness. Classroom sizes are controlled so that students get personalized individual attention and instruction. The result is that every day children look forward to both going to school and returning home excited to share what they have learned.